RIAA, the mashup/sound collage project of Los Angeles DJ/musician Mr. Fab, returns to Do or DIY for another exclusive mix. 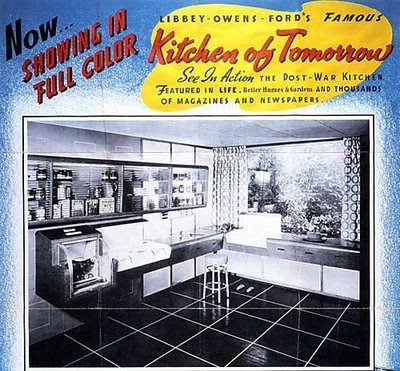 "The Kitchen of Tomorrow," an excerpt from the forthcoming epic "USA," will be featured, drawing on such sources as old industrial films, easy-listening musics, and instructional records to humorously depict the changing role of women in American society. WFMU 91.1 fm, 90.1 fm, Wednesday, June 30th, 7pm - 8pm (Eastern Standard Time) - my mix is 10 minutes long. You can listen live if you're in the New York/New Jersey area, or on-line.